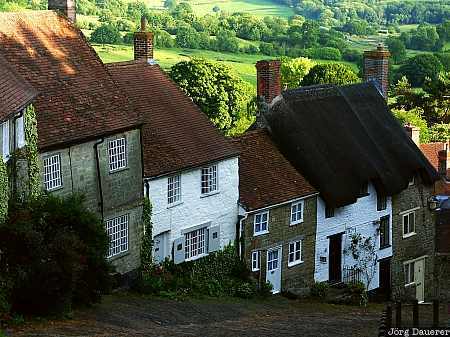 Gold Hill, a row of picturesque old houses in the small town of Shaftsbury. Shaftsbury is in Dorset in the south of England, United Kingdom. This photo was taken in the evening of a sunny day in June of 2003. This photo was taken with a digital camera.